Representative of World Organisation of Libyan Jews (WOLJ) Dr. David Gerbi urges the international community on the issue of Libyan Jews. The WOLJ call the authorities of the GNA, the Parliament, the leader of Benghazi governments, to respect the rights and heritage of Libyan Jews and how they should be secured by the new constitution on the issue of Libyan Jews that has been forgotten for fifty years (1967 – 2017). We call for our rights that has been violated for 50 years. We call for the respect of our rights as Libyan Jews. 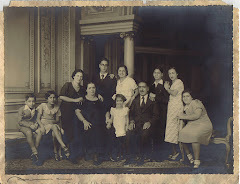 Libyan Jews have the right to return to their ancestors’ hometowns in Libya to visit and to pray for their dear one and to receive back their properties and to demand their compensation of the private and public property that has been confiscated since 1967, when the last 5000 Libyan Jews became refugees in Italy, USA England and other countries. We call US, UN, Italy, France, England and the three governments to recognize the rights of Libyan Jews. We Demand justice by the International Courts: We call to the UN for the importance of the respect of universal human rights and the freedom of religion. Today there are no Jews in Libya because of the persecution, the pogroms, the intolerance and the racism that force the Jewish community to leave the country in 1967 when because of the six days’ war between Israel and Arab countries, the last 5000 Jews has been forced to leave to Italy Israel USA and England in order to save their lives. 1967-2017 fifty years pass and the historical unresolved conflict is still not addressed nor is it resolved by the international community and by Libyan government and we have become the forgotten refugee that lost everything but not the right to fight for justice, the faith and the dignity. We started from below zero and today thanks G.D and our resilience we rebuilt our life with honesty and we live with dignity in democratic countries that respect the human rights and the freedom of religion. But we still want justice and reconciliation through the apologies and the compensation of our property and for the fifty years of suffering. We are still committed to support the respect of universal human rights and the respect of freedom of religion also in Libya. We are still committed to fight against discrimination, racism and antisemitism also through the education of the young people that has been brainwashed through the culture of hate and racism. We ask that the legacy and the interest of the Libyan Jewish refugee be remembered as it happen in july 2016 between Mr Kobler and Dr Gerbi in Tunis in UNSMIL office. 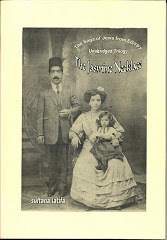 We have museums of Libyan Jews and we have personal testimonies of Jews from Libya, we did it in order in order to preserve our history and heritage. We have a museum to offer information and documentation on Jewish refugees from Libya, we conduct public education programs that provide historical perspective, in the pursuit of truth, justice and reconciliation. The return is not a requirement and demands but it is a fateful and humanistic right. We have Jews that live in peace in Morocco, in Tunisia, in Egypt, in Iran. They can choose to live there or to leave their country where they were born. There is a freedom of choice and we seek this basic freedom. The Libyan draft proposal Constitution should prioritize the Libyan Jews account. We have to raise the important segment of the Libyan Jews and their rights, through the history, we have the roots that stretch back to thousands of years, and additional to the issues mentioned above. We ask officially and strongly that the Libyan Parliament, all three Prime ministers, the concerning Ministries and “The Constitution Foundation” to accept and assist in our case, and the idea of the rights of the Libyan Jews in the draft proposal of the Libyan Constitution. 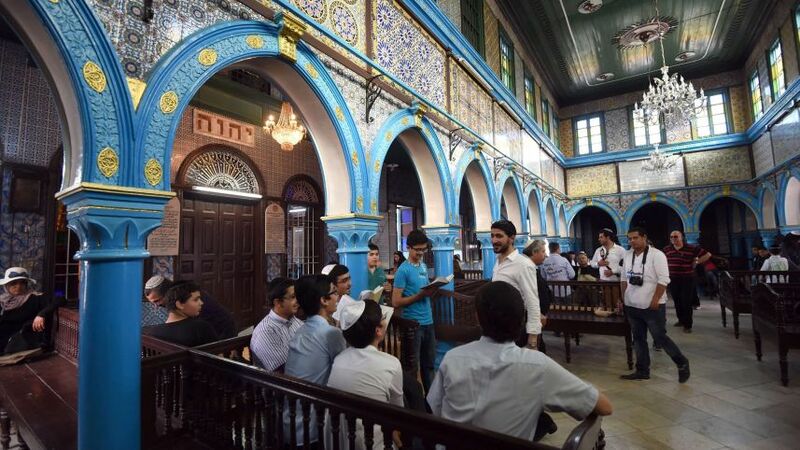 Will derelict Tunis synagogue be preserved? 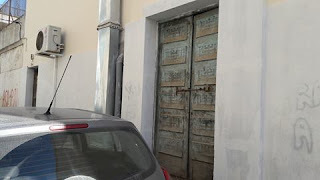 A Tunisian journalist has called for the last synagogue standing in the Hafsia neighbourhood of the Tunis ghetto or Hara to be turned into a museum of Judaism. Work is already in progress to convert the basement, which houses a mikveh, into a cafe. Already an airconditioning unit has disfigured the building, but Hatem Bourial would like to see its original features preserved - such as the cadelabras or menorot on the front door and Hebrew inscriptions on the walls. The Or Thora Synagogue was built in the early 1930s, prior to World War II, and designed by architects Aimé Krief and Jean Valensi, their names still recorded on the graffiti'd outside wall. 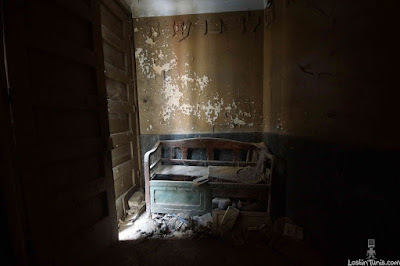 It's been abandoned for more than 30 years; torn prayerbooks litter the delapidated interior. (See photos here). Marc Knobel, a French writer whose mother was a Tunisian Jewess, has applauded Hatem Bourial's suggestion for a museum in this emotional article in the HuffPost Maghreb. 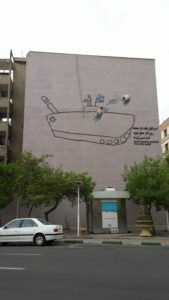 A tank drawn on a wall in Palestine St in Tehran is accompanied by the slogan 'Israel will be omitted from the world'. The author claims that the quote's meaning has been mistranslated and manipulated. 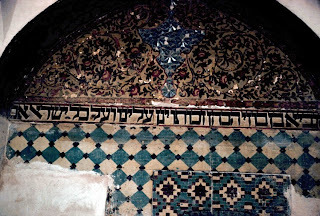 In Isfahan I often heard that the city had been founded by Jews exiled from the Holy Land in the First Exile. The city used to be called Dar al-Yahud. No wonder that I went to explore the old Jewish quarter Jubaré. As I wandered, I saw a small Star of David hand-painted on a gate. I pushed it and found myself in front of two elderly women. I tried to explain to them that I was Jewish but they remained in doubt. I tried to speak with them in Hebrew, again no avail. Finally, I uttered Torah tsiva lanu Moshe, and they joyfully responded morasha kehilat Yaakov. This is traditionally the first verse of the Torah taught to a child: “Moshe commanded us the Torah, the inheritance of the community of Jacob.” (Deuteronomy 33:4) The contact was made, and they promptly put me on Skype with a relative who spoke Hebrew. Apparently, she was in Israel but insisted she was in America. Soon a young man with a kipa showed up in the street. I uttered tefilat minha, “afternoon prayer”, and he led me to a synagogue clearly marked in Hebrew and Persian above the front door. The synagogue was small and cozy, at least a century old. It was decorated with quotes from the Psalms, parts of prayer. Men sat in one corner and women in the other. I was invited to lead the services, and was afterward treated to fruit and cookies in memory of a deceased congregant, whose anniversary happened on that day. When we left the synagogue, a familiar scene took place, even though I did not understand what was being said. It was Thursday night, and several people argued who would invite me for the Sabbath meals. 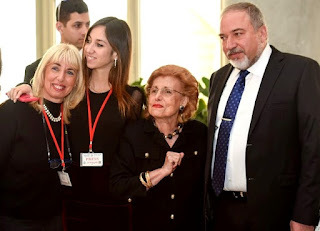 I gave up all attempts to influence the events, and it was only on Friday night that I was actually led to the home of the parents of the young man with the kipa, who inhabit a spacious home not far from Palestine Square where the main synagogue is located. Besides the young man and his parents, there were two of his sisters as well as a man who spoke English since he had spent a few years in Queens. We all sat on the carpet, making a Kiddush, partaking of fruit and vegetables prior to breaking bread in order to augment the number of blessings. We ate mostly with hands. After a while I was asked to say a few words of Torah, and, inspired by a weekly broadcast from Akadem, I spoke about the two names of the tabernacle, mishkan and mikdash, which teach us about the pitfalls of excessive closeness and possessiveness. The man from Queens interpreted, and the “audience” applauded. They applauded again when I told them that before a public lecture in Tehran, in response the Islamic invocation bismillah, “in the name of God”, I said in Hebrew be-ezrat ha-shem ve-yeshuato, “with the aid of God and his salvation”. The atmosphere was joyful throughout the evening, and I left close to midnight to walk to my hotel. On the way, I crossed the park Hasht behesht, full of couples and groups of teenagers visibly having a good time. The next morning I walked to Jubaré in search of the synagogue where my host for the second meal was to meet me. I got lost and walked into another synagogue, where nine men were anxiously awaiting the tenth one. Under the circumstances I had to stay. The floor was covered with blankets, rather than carpets, and the synagogue looked poorer. An old man asked me to lead the services, and once again, here I was reciting prayers before members of the oldest community in the world. 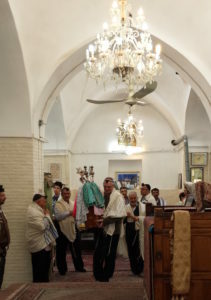 It was moving to pray in the minuscule synagogue, surrounded by verses and old ornaments. After the services, the old man who was commanded respect in the synagogue took his bicycle and headed home. Then I saw another Jew on a bicycle, which I had never seen among observant Jews. I would later find that Ben Ish Hai (1832-1909), a major authority in Jewish law from Baghdad, authorized the use of the bicycle under certain conditions. My host easily found me since everyone knows each other in Jubaré. I was hosted for lunch by a family: the parents and a son in his 30s. Trained as an engineer, he sells clothes at a relative’s store, earning significantly more than he would in his profession. Later I met a mathematician who was selling carpets in the city’s famous bazaar. These are signs of demodernization, partly caused by Western sanctions meant to stop the non-existing nuclear weapons program in Iran. The burly head of the family, with a few teeth missing in his mouth, spoke some French, since he had once studied at the Alliance school in his neighborhood. He was hospitable, albeit not always punctilious of the Sabbath observance, and his wife had to discipline him from time to time. A one-gallon whiskey bottle full of homemade wine dominated the table full of meats, stews and vegetables. The host told me that the bottle was a vestige of pre-revolutionary times. The lunch was copious, and included, to my surprise, Salade Olivier, which, thanks to Russian influence, became quite popular in Iran. By then I knew that hosts often offer their guests spacious shalvar, cotton pants that one uses to sit at the meal and, if needed, to take a nap afterwards. This turned out to be the case, and after the nap I changed back to my clothes and went out to explore the city. Returning to the neighborhood, I was greeted Shabbat shalom by a Jew who had keys to a few more synagogues, which he kindly showed to me. They are open only on Shabbat. Friends in Isfahan introduced me to Mr. Sasson, artist, architect and owner of the gallery where we met him. He is also the only Jew to work as an official building assessor in the city. As one enters the gallery, one sees an ornate picture of Jerusalem with the biblical verse in Hebrew “If I forget thee, O Jerusalem, Let my right hand forget her cunning” (Psalm 137:5). He remains committed to Judaic practice and mentioned that he had seen me in the synagogue. His son teaches Iranian music. An amiable refined man, Sasson extended me a warm welcome and patiently answered all of my questions about the Jewish community, gave me advice about travel in the country as well as a few contacts. He has taken part in over 40 exhibits, traveled around the world, while his gallery is situated on the ground floor of the house that used to belong to his parents, a few hundred meters from the main synagogue. Like several intellectuals I have met, he resigned from his position of professor of architecture during the years of Ahmadinejad, when universities reportedly experienced a sharp decline. At the same time, he believes Khomeini did a lot of good to the Jews, repeatedly referring to them as equal and “pure” Iranians. Several non-Jewish Iranians, including business people, mentioned to me that Jews have an excellent reputation for honesty and reliability. Their word is as good as a written contract. This image appears at variance with the European image of the Jew, often considered “cheap”, “dishonest” and “rapacious”. One Jewish businessman, a carpet dealer, came to see me in the hotel and spoke with me in Hebrew without lowering his voice or feeling otherwise uncomfortable. He effusively greeted me shalom as he was leaving and was not in the least embarrassed to do so. In fact, Iranian salam often sounds very much like Israeli shalom. I met Sion Mahgerefte, the head of the Jewish community of Isfahan, in the lobby of Hotel Kowsar, one of the most prestigious in the city. The New Year decorations were splendid, and we found a quiet corner nearby. A friend interpreted as he spoke only Persian. He told me that most Jews work in the clothing industry, usually in retail. There are a few professionals and intellectuals but most earn a living in business, often inherited from father to son. Sion has a company of safety equipment (helmets etc) but his children study to be professionals. Besides the young man and his parents, there were two of his sisters as well as a man who spoke English since he had spent a few years in Queens. We all sat on the carpet, making a Kiddush, partaking of fruit and vegetables prior to breaking bread in order to augment the number of blessings. We ate mostly with hands. After a while I was asked to say a few words of Torah, and, inspired by a weekly broadcast from Akadem, I spoke about the two names of the tabernacle, mishkan and mikdash, which teach us about the pitfalls of excessive closeness and possessiveness. The man from Queens interpreted, and the “audience” applauded. They applauded again when I told them that before a public lecture in Tehran, in response the Islamic invocation bismillah, “in the name of God”, I said in Hebrew be-ezrat ha-shem ve-yeshuato, “with the aid of God and his salvation”. The atmosphere was joyful throughout the evening, and I left close to midnight to walk to my hotel. On the way, I crossed the park Hasht behesht, full of couples and groups of teenagers visibly having a good time. The burly head of the family, with a few teeth missing in his mouth, spoke some French, since he had once studied at the Alliance school in his neighborhood. He was hospitable, albeit not always punctilious of the Sabbath observance, and his wife had to discipline him from time to time. A one-gallon whiskey bottle full of homemade wine dominated the table full of meats, stews and vegetables. The host told me that the bottle was a vestige of pre-revolutionary times. The lunch was copious, and included, to my surprise, Salade Olivier, which, thanks to Russian influence, became quite popular in Iran. By then I knew that hosts often offer their guests spacious shalvar, cotton pants that one uses to sit at the meal and, if needed, to take a nap afterwards. This turned out to be the case, and after the nap I changed back to my clothes and went out to explore the city. Returning to the neighborhood, I was greeted Shabbat shalom by a Jew who had keys to a few more synagogues, which he kindly showed to me. They are open only on Shabbat. Friends in Isfahan introduced me to Mr. Sasson, artist, architect and owner of the gallery where we met him. He is also the only Jew to work as an official building assessor in the city. As one enters the gallery, one sees an ornate picture of Jerusalem with the biblical verse in Hebrew “If I forget thee, O Jerusalem, Let my right hand forget her cunning” (Psalm 137:5). He remains committed to Judaic practice and mentioned that he had seen me in the synagogue. His son teaches Iranian music. An amiable refined man, Sasson extended me a warm welcome and patiently answered all of my questions about the Jewish community, gave me advice about travel in the country as well as a few contacts. He has taken part in over 40 exhibits, traveled around the world, while his gallery is situated on the ground floor of the house that used to belong to his parents, a few hundred meters from the main synagogue. Like several intellectuals I have met, he resigned from his position of professor of architecture during the years of Ahmadinejad, when universities reportedly experienced a sharp decline. At the same time, he believes Khomeini did a lot of good to the Jews, repeatedly referring to them as equal and “pure” Iranians. WASHINGTON (JTA) – U.S. authorities came close to deporting an Egyptian-born French Jewish Holocaust-era scholar on his way to speak at a symposium at Texas A&M University. Henry Rousso was detained for ten hours starting Wednesday evening in Houston. 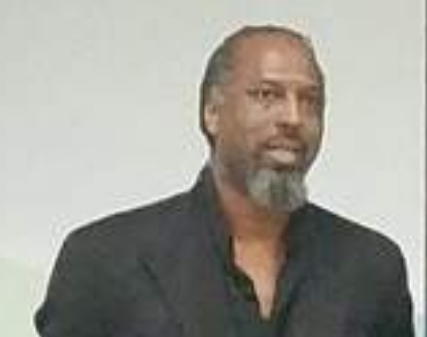 The university enlisted one of its law professors who specializes in immigrant rights to intervene, The Eagle, a news site covering the Bryan-College Station area, where the university is located, reported on Saturday. The newspaper reported that there was a “misunderstanding” regarding Rousso’s visa, leading authorities to classify him as an illegal alien. Rousso confirmed his ordeal on Twitter. 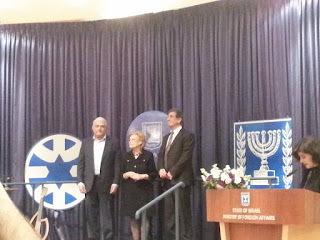 The Dahan Center at Bar Ilan University: "The Dahan Center for Culture, social and educational heritage of Sephardic and Oriental Studies named after Aharon and Rachel Dahan at Bar-Ilan University was established for the purpose of fostering and preserving awareness of the cultural wealth of Spain and the Mizrahi communities in Israel's heritage. 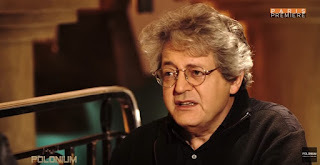 Dr. Moshe Gavra: from Bar Ilan University, Department of Talmud. Engaged in decades of study of Yemenite Jewry, Dr Gavra is a senior lecturer at Ashkelon College. Dr. Gavra gets the prize for his research on "Mass immigration from Yemen." Levana Zamir: Born in Egypt. Since 2015, she has been Chairman of the organizations of Jews from Arab countries and Iran, chairman of the Egyptian-Israeli Friendship Association. Mrs. Zamir receives the award for her research on "The Golden Age of the Jews of Egypt - and the option of the Mediterranean union between the peoples of the region". Solmaz, who was in Iraq to collect footage for his film about ISIS, offered to visit abandoned Jewish villages for Guberman. The two had met in the summer of 2014 at the Center for Jewish History in New York—Solmaz was there to inquire about using the building’s archives to research a documentary about Kurdish Jews, which he would be filming in Syria and Iraq. He wound up in Diarna’s office, where he and Guberman chatted about his interest in Jewish culture. Solmaz had grown up in Turkey’s southeast, and his grandparents had told him stories about the minorities who no longer lived there—Jews, Armenians, Greeks and Assyrians. By the time Solmaz was born in 1963, Ottoman and Turkish authorities had massacred or deported most of them in campaigns to “Turkify” the nation in its violent early days, a part of his country’s history that he thought about often in his work as a war correspondent and independent filmmaker. As Guberman listened, he realized he might be able to recruit Solmaz to help Diarna. But doing so would be dangerous. Syria’s civil war was in its third year, and ISIS was taking over major cities and towns in Iraq. Guberman worried that Solmaz could be captured, kidnapped or killed, especially if ISIS—or the Syrian regime—discovered his links to an American nonprofit with a Jewish cause. “We actually tried to discourage him,” says Guberman, “but he wanted to go.” The two men agreed to stay in touch. What had started as a chance meeting in a quiet museum would soon become a vital partnership—spanning oceans and war zones—to preserve ancient history before it vanishes. The arrangement has been mutually beneficial. Solmaz hikes mountains, cajoles locals and travels to war zones to find the endangered sites Diarna wants to preserve on the internet. In return, Diarna pays him for photographs, videos and reports, which Solmaz often finds useful for his projects. 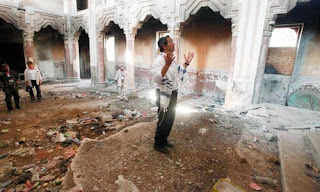 When Diarna launched in 2008, most Jewish synagogues, schools and cemeteries in the Middle East and North Africa had been out of use for decades, and many had fallen into disrepair. 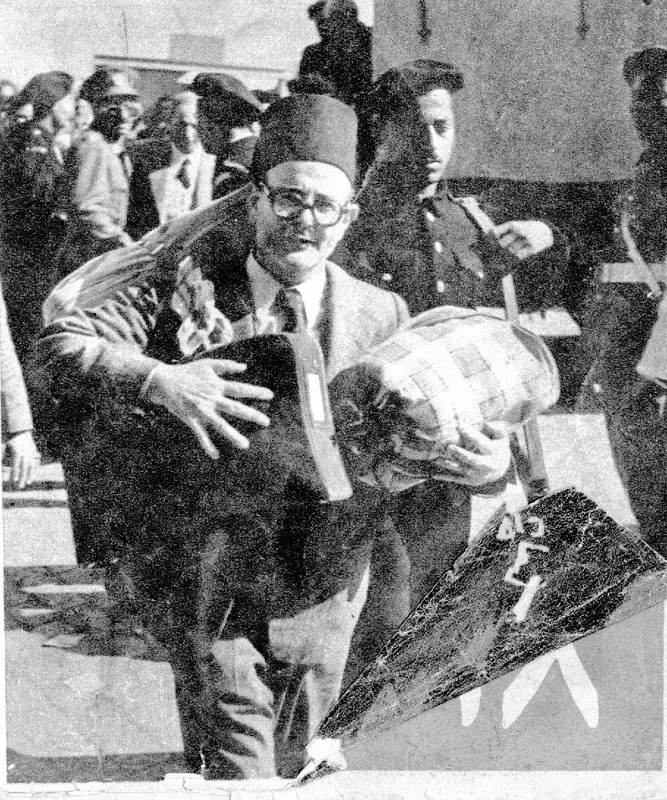 Most of the estimated 1 million Jews who lived between Morocco and the Arabian Sea abandoned their homelands to escape anti-Semitic violence in the 1950s and ’60s. Now wars in Yemen, Iraq and Syria, along with the emergence of ISIS, which has been attacking ancient sites with pickaxes and dynamite, pose a real threat to preserving the Middle East’s ancient history. Mini challahs are baked, and cookies and candies in the shape of children and animals are part of the feast. The meal starts with sweets, including candies, halva and Tunisian staples like makroud (farina and date cookies) and debla. Tunisian Jews who immigrated to France added Pièce Montée (croquembouche) as a regular component of the feast. The sweet opening is followed by a meal of vegetable pies called maakouda, salads, green fava beans, and the main course is always stuffed pigeon. 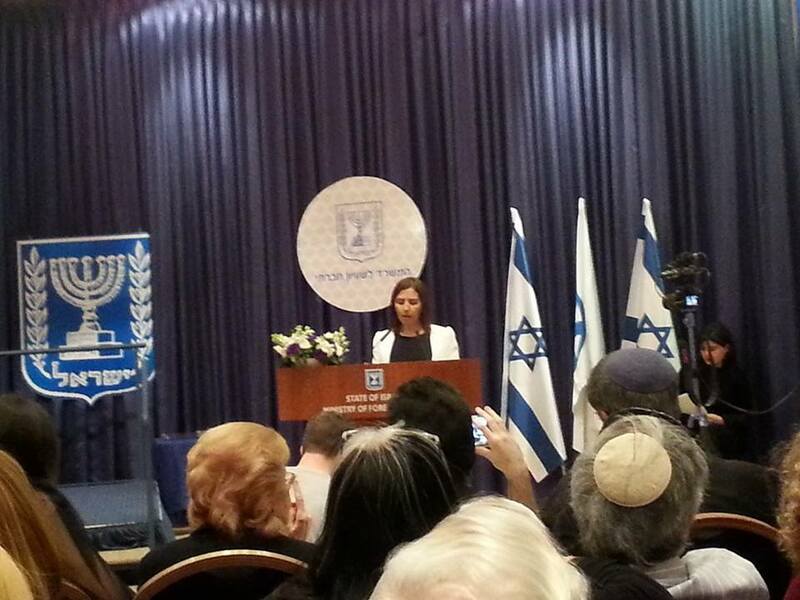 The guests recite poems and read from the Torah, as with any Jewish holiday. The explanations for this unique tradition vary. Some link it to the story told in Parashat Jethro about Moses’s father-in-law, Jethro, breaking bread with Aharon and the Israelites. Other explanations are related to the community itself. Some people believe the celebration has to do with a plague that killed many in the community, mainly men and boys. The plague ended on the week of Parashat Jethro and the sick were healed after eating pigeon soup (hence the stuffed pigeon for the feast). Another explanation may be that this Torah portion is the first time young students get to read the 10 commandments on their own, and the celebration is for them. Personally, I assume the reason pigeon is served for the main course due to the small-plates, small dishes theme, where a pigeon fits in much better than chicken. Pigeons are common in Arab cuisine, but are hard to find in Israel or in America. I went for cornish hen instead, and stuffed it with Middle Eastern flavors or citrus, dried fruit and almonds. Serve it on a small salad plate with a dessert fork. 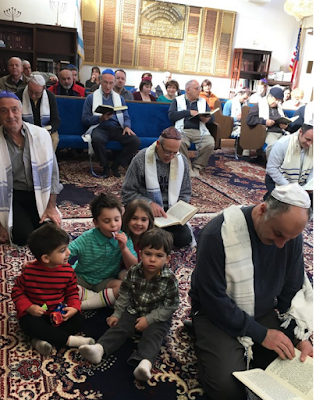 Show up on a Shabbat morning at Congregation B’nai Israel in Daly City, and — if you’re a typical American Jew — you will see plenty that’s familiar. At the front of the sanctuary is an ark, and inside the ark are several Torah scrolls. There is a memorial wall at the back, listing the names of the community’s lost loved ones. Near the entrance is a rack of tallits. But before you come in, you must remove your shoes, as Moses did when he approached the Burning Bush. Examine the rack of tallits, and you will find that the fringes are knotted and wrapped in an unusual way. In front of the pews, there is an open space covered in rugs. Some worshippers sit or kneel on the floor; when they bow, they touch their heads to the ground. The prayers follow a different structure, and the sound is very Middle Eastern. 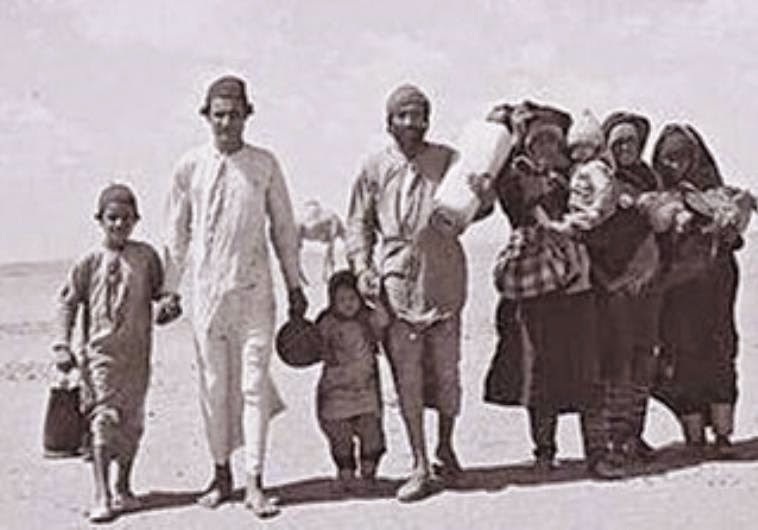 In the 20th century Jews in Morocco can be said to have had an easier ride than Jews in other Arab countries: they have not been targeted by state-sanctioned discrimination and have benefited from the sultan's protection. In spite of this, however, history tells us that Jews in the ghettoes of the Maghreb suffered more pogroms than in other Arab countries: Marrakesh (1864 -80), Tripoli (1785). Algiers (1805,1815,1830) Taza (1903), Settat (1903), Casablanca (1907), Fez (1912). 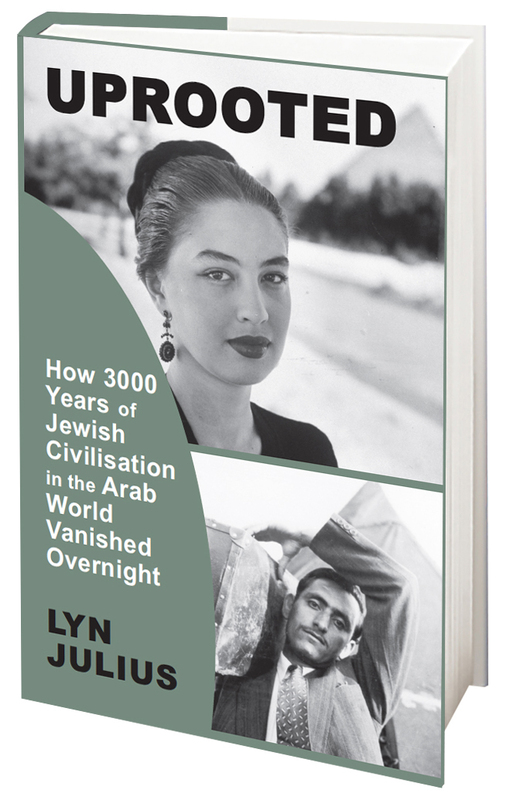 Jews in pre-colonial North Africa had neither material nor physical security. Until the colonial era permitted them to move into European quarters ("ville nouvelle") of Moroccan towns, Jews were confined to the Mellah or Jewish ghetto. This made them particularly vulnerable to mob violence, particularly during Muslim holidays. Esther Sidon told Point of No Return: "my grandmother, Lea Azogui née Nahmani, was particularly scared of the Shishaoua Carnival, lasting almost a week. She would insist on moving her whole family to a hotel outside the Meknes nouveau Mellah until this Muslim Carnival was over. They were able to afford to pay for accommodation. 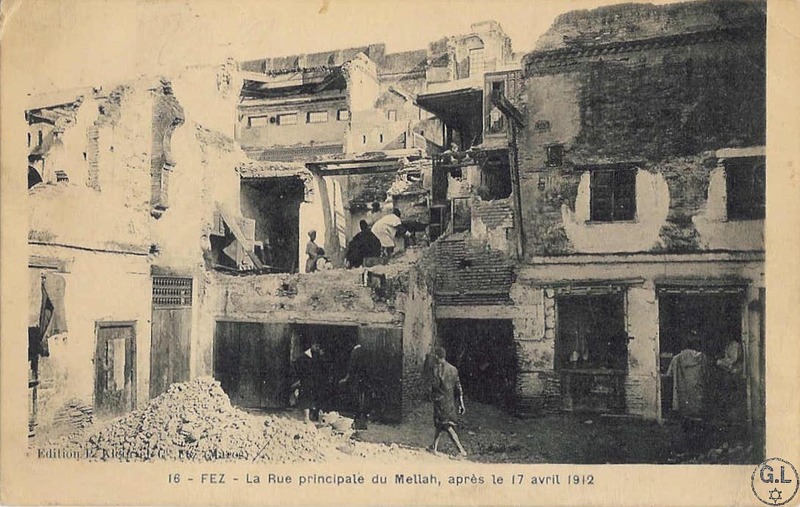 The great mass of Jewish residents of the nouveau Mellah were not so lucky and had to be confined to their homes during the holiday. One year, Maurice Azogui (my father) recalls, the king had to cancel the carnival because of outbreaks of violence. The Jews were so happy." Discontent over Bensoussan’s prosecution spread to more centrist circles, exposing the left-leaning LICRA to criticism by Finkielkraut. Last year he received the country’s ultimate academic distinction when he entered the Academie Francaise pantheon of great thinkers. 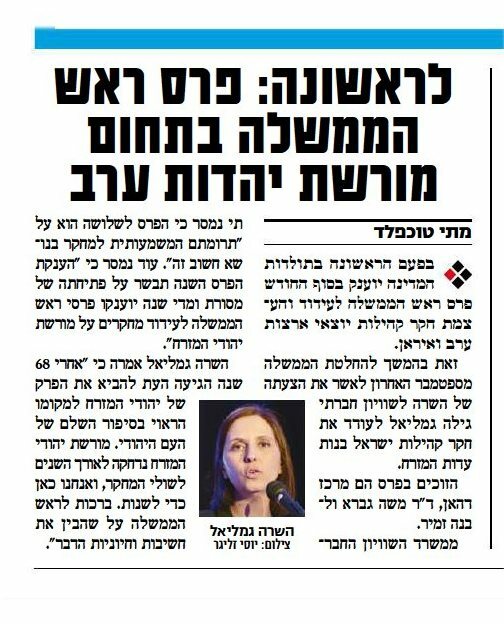 On Jan. 29 Finkielkraut, a member of the dovish JCall group of French Jews who oppose Israel’s settlement policy, announced he would be resigning from LICRA over its decision to sue Bensoussan. The move “dishonored” LICRA, he said during an interview with RCJ radio, accusing LICRA of “opting for inquisition” against Bensoussan. Laacher and Bensoussan were using metaphors, Finkielkraut argued, and neither “speak of any biological dimension to the culturally transmitted phenomenon they describe.” That refutes the “incitement to racial hatred” charge, he said. But in an election year with the far-right National Front group leading in the polls, this technicality was soon eclipsed in the media by the trial’s broader implications on free speech and race relations. The trial “is a way of avoiding investigative thought and any public expression on Islam except for praise,” Finkielkraut said in the RCJ interview. It’s a recurring accusation by advocates of several French thinkers, Jews and others, who have paid a personal and public price recently for speaking out against Islam or in defense of Israel. 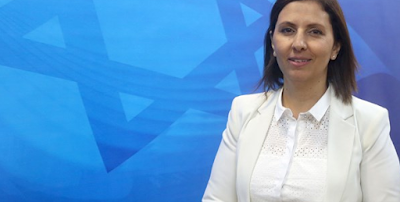 Gozlan also noted that LICRA’s fellow plaintiff, the Collective Against Islamophobia, has been accused — including by LICRA itself — of propagating anti-Semitic disinformation against Prime Minister Manuel Valls, whose wife is Jewish. 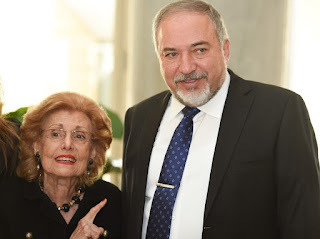 On Feb. 2 Philippe Karsenty, the French Jewish activist and deputy mayor of the Paris suburb of Neuilly-sur-Seine, echoed Gozlan’s sentiment in an op-ed he wrote with lawyer Pierre Lurçat. “How could a group established to defend Jews come to assist a judicial jihad waged against a Jewish intellectual specialized in the history of the Holocaust?” they asked. It was a withering attack on LICRA, a group founded by a Jewish journalist in 1926 in an effort to defend a Jew charged with the Paris killing of a Ukrainian nationalist. The Ukrainian was responsible for pogroms in Ukraine in which the Jewish killer’s relatives perished. 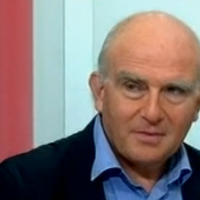 Amid growing criticism, the head of LICRA, Alain Jacubowicz, who is Jewish, broke his silence about the affair. In an op-ed published earlier this month, he accused Bensoussan of “benefiting extremists” with his statement on Islam. Bruno Gollnisch, a Holocaust denier and European Parliament lawmaker for National Front, embraced Bensoussan’s cause. In a Jan. 25 op-ed published on his website, Gollnisch equated Bensoussan’s troubles to those of Jean-Marie Le Pen, who was sidelined as the National Front’s leader after multiple convictions for hate speech against Jews and Muslims. “There are truths we’re forbidden to speak,” Gollnisch wrote about both men. Bensoussan in turn broke his own silence on the affair and replied to Jacubowicz in an open letter published Monday. A group of demonstrators picketed a Jewish-owned restaurant on the Tunisian island of Djerba on 17 February in protest at its re-opening after five years and the renewal of its alcoholic drinks licence. 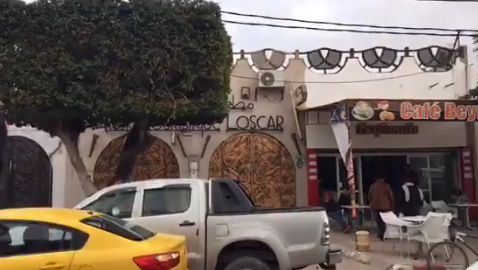 The picketers were claiming that Oscar's Restaurant, a kosher establishment at Houmet el souk, was in violation of Islamic law and its clients were disturbing local residents. Oscar's Jewish owner, Harry Bitten, denounced the picket as 'religious harassment'. "These people are harming Tunisia, its tourist industry and Jewish Tunisians," he retorted. Elie Trabelsi, a Jewish community leader, called the picketers 'hypocrites and racists'. He pointed out that there were more than 12 bars serving alcohol in the neighbourhood. Bitten is backed by the Tunisian Association for the Support of Minorities. It pointed out that Oscar's restaurant was approved by the Tunisian ministries of tourism and of the interior to sell alcohol, and called for the law to be applied. 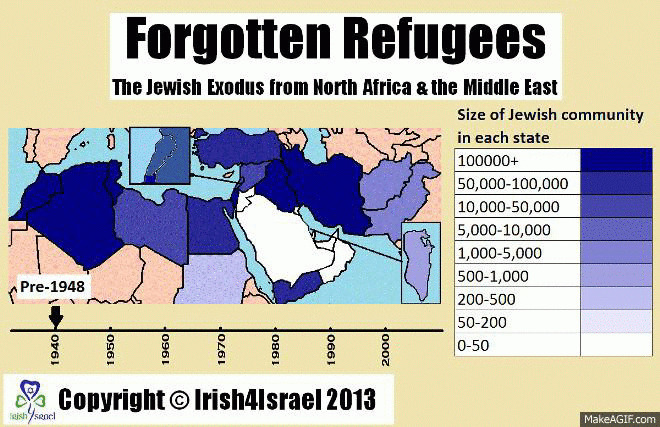 About 1,000 Jews still live on Djerba. Tourism is Tunisia's major industry, but it was hard hit in recent years by terrorist attacks on the Barda museum in Tunis and on the beach at Sousse. For Clemy Lazarus (nee Menir), February 2017 is a very significant anniversary. 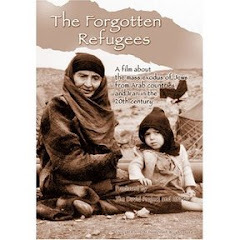 It is exactly sixty years since she arrived in England as a five-year-old refugee from Egypt. Here is her amazing story, as told to Point of No Return. 'The year 1956 was not the first recorded time that the Menir family was exiled from the land of their birth. The Encyclopaedia Judaica records that we lived in Tudela, Spain in the 13th Century, and by the time of the Spanish Inquisition of 1492, we left Spain and had followed the same route to Egypt as the Rambam (Maimonides). I was born in Cairo, Egypt in 1951, and by 1956 my family was caught up in the conflict that became known as the Suez Crisis. This was for two reasons. Firstly we were Jewish and secondly my mother was a ‘British Subject'. My mother had acquired this status along with a British passport by virtue of the fact that her grandfather had worked for the British in India, generations earlier. My father’s classification, however, was ‘stateless’. Although he and his antecedents, for many generations, had been born and lived in Egypt, they were, nevertheless, deprived of any rights, recognition, or entitlements of citizenship because we were Jewish. I believe the official status is dhimmi. In essence we were subjugated and lived as second class citizens. However, we did enjoy a very good standard of living. My father established a successful cardboard box manufacturing business in Cairo. My father was one of four siblings. He was the eldest and he eventually joined my mother in England. The second sibling established a life in Paris. The third went to live in the fledgling state of Israel where he lived under very difficult conditions in corrugated tin huts in a ma’abara for many years. The fourth, a sister, remained in Egypt with her aged parents until my grandfather passed away after which time she and my grandmother eventually moved to Israel. She was compelled to leave without any money or possessions of any value. She did, however, manage to buy a few gold bangles that she wore as jewellery and sold for the purpose of sustaining us down the line. Once in England, my mother was housed in a refugee camp, first in Leeds and then in Kidderminster. These were essentially former wooden army barrack huts. When my mother was ready to deliver her baby, my siblings and I were placed in the guardianship of the British Red Cross and she was taken to the local hospital to give birth. This was a particularly harrowing time for her as she had no means of communicating her concerns. During this time our suitcases were ransacked and many fine Cacharel clothes were stolen. Added to this, my mother returned from hospital to find that one of her children was missing. Her youngest, Vivienne, had developed measles and had been placed in isolation. After six months my mother was at the end of her tether. My mother is the sweetest, most mild mannered, excruciatingly shy woman. Nevertheless, astonishingly, she found the strength to march into the office of the commander of the refugee camp. She banged on his desk, swiped all the paperwork to the floor and in her best newly acquired English she declared, “Captain Marsh, bring my husband!” To his credit, Captain Marsh did his utmost to make this happen and shortly afterwards my father joined us in the camps. My father had been given permission to leave Egypt on condition that he abandoned his business, his home and all his possessions. Everything was confiscated by the Egyptian authorities and to this day we have received not a penny in compensation. The early years in England were extremely difficult for my parents. They had no money, no home and no livelihood. Added to this, it was against every economic, social and spiritual tide that my parents maintained a strictly orthodox home. Shortly after this we were welcomed by the Birmingham Jewish community, where we were housed in a Victorian tenement building along with half-a-dozen other refugee Jewish/Egyptian families, and committed to paying a nominal weekly rent. My parents, who started from rock bottom, worked unbelievably hard, living a life of deprivation and self sacrifice. They devoted all their time and energy to caring for their family’s wellbeing and education, to the exclusion of all else. After many attempts to work for others my father was eventually able to set up a small cardboard box manufacturing business which subsequently grew into a highly successful one. In this way he himself was then able to provide employment for many other needy individuals. From the moment my parents arrived in England, they showed their gratitude to their British hosts by naming their new born baby Elizabeth after the Queen of England. My father enrolled in night school to learn to speak English and soon spoke English better than any Englishman. My father became a dapper English gentleman, albeit with an Egyptian accent. When he could afford it he bought my mother the finest clothes and had bespoke suits made for himself along with matching bowler hats which he wore jauntily. The pinnacle of his achievement was when he managed to buy himself a Rolls Royce. As a mitzvah, he shared his good fortune by using his car to drive many a bride to the Chuppah. 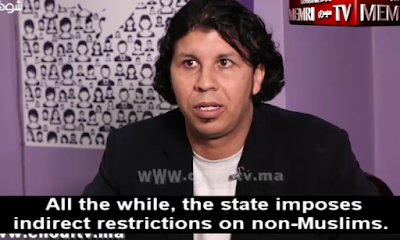 A recent TV report highlighted the problems faced by Christian converts in Morocco, who say that they are denied the right to celebrate Christmas and New Year's Eve. Akouri Abdallah, who complained about the discrimination suffered by Christians, Baha'is and other non-Muslim believers, said: "My message is that we want the same rights as the Jews," who "have been enjoying their rights for years." 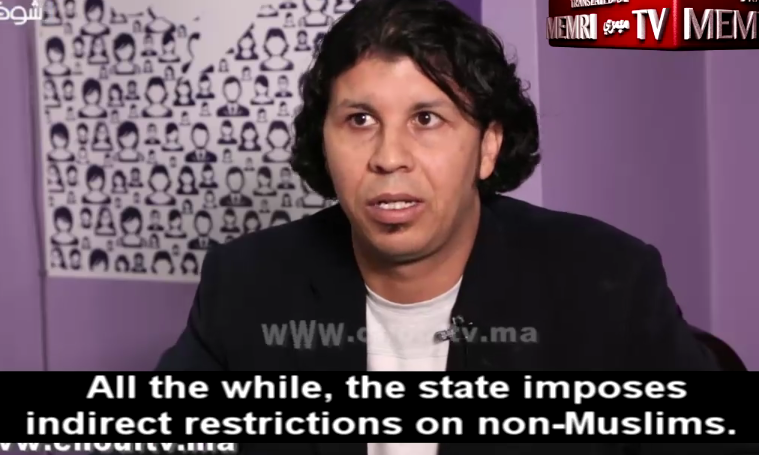 The report aired on the Moroccan Chouf TV channel on December 25, 2016. Yad L'achim announced last week that in January they had several cases in which Arab women turned to the organization for help and thereby discovered their Jewish identities. 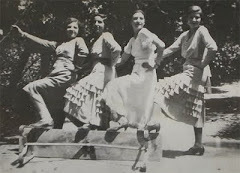 These women had lived their entire lives as Arabs, grew up in Arab villages and were taught Arab beliefs, lived as devout Muslims, and never suspected themselves to be Jewish. 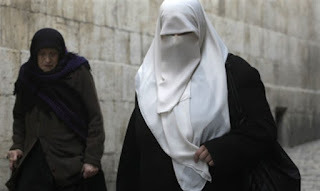 21-year-old L., 40-year-old S., and 30-year-old A. were born to a Jewish mother and a Muslim father, and did not know their mother's true identity. Each woman approached Yad L'achim separately and of her own accord. 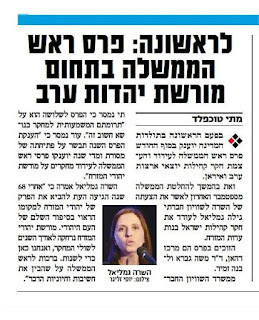 "It's hard to discover when you're already older that you have a different identity," a Yad L'achim spokesperson said. "These kinds of situations need to be dealt with differently. This month, we helped three different women deal with something completely different than what we're used to. These women are 'meeting' their new identities for the first time. "A. did not give up, and did an investigation which proved the relative's claim to be true. Her entire world was shaken up." "When I found out, completely by coincidence, that I was a Jew, I didn't know what to do," A. said. "I began to quietly learn about Judaism, and people told me that an organization called Yad L'achim could help me return to the Jewish people. 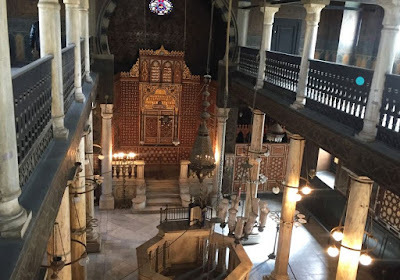 The Jerusalem Post reporter Seth Frantzman visits the Ben Ezra synagogue in Cairo, where the famous medieval Geniza found in the attic testifies to the 'positive relationship between Jews and Muslims'. 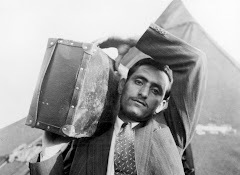 Under Gamal Abdel Nasser, however, Jews were viewed as outsiders and potential traitors. A sign from US AID and the Supreme Council of Antiquities adorns a gate and tourists as well as Egyptian students make up the visitors to the old synagogue. A sign on the door says “Property of the Jewish community Cairo.” Around the back, but closed to the public, is a library and an unexcavated mikveh. On the second floor a small door that can only be accessed with a ladder leads to a geniza, or storage room, for sacred documents. 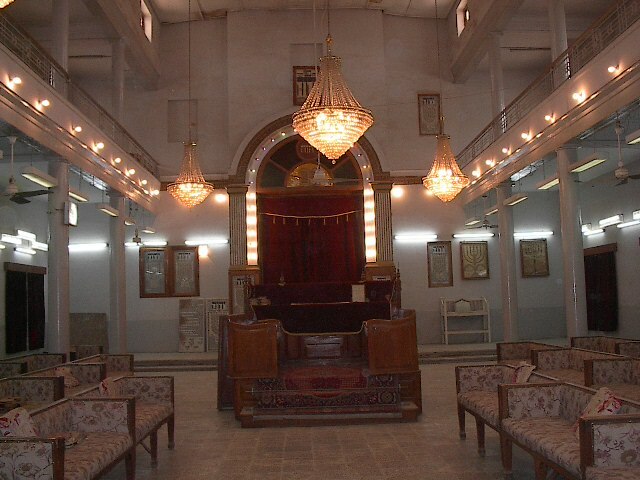 It was here that the life story of Maimonides has come to life. 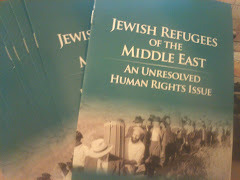 “There isn’t a home of an observant Jew in the world that doesn’t have the books of Maimonides and to be in the place where they were edited and where the texts were discovered is a great vibe, it’s powerful,” says Yitzhak Sokoloff, founder and president of Keshet Educational Journeys and a fellow at the Rennert Center for Jewish Studies at Bar-Ilan University. On a recent trip to Egypt with Sokoloff and a tour group organized by Dr. Eric Mandel of the Middle East Political and Information Network, we saw up close the Ben Ezra Synagogue where the letters of Maimonides sat in a geniza for almost 700 years. In 1896 Cambridge University academic Solomon Schechter led an expedition to archive the Cairo geniza. Today some 200,000 documents removed from the synagogue have been catalogued and studied, shedding light on Jewish life through the ages in Egypt and beyond. It shows how Jews traveled throughout the Mediterranean and Muslim world, sometimes as merchants, like Maimonides’s brother. 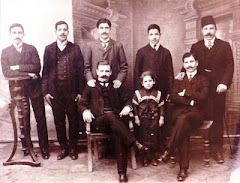 For decades under Egyptian president Gamal Abdel Nasser Jews were viewed as outsiders and potential traitors in Egypt, accused of working for Israel and being part of Zionist plots. Those who remained were imprisoned and suffered other slights. Like Christians and Muslims, they had their Jewish religion stamped on their identification cards, but unlike the others they were often portrayed as a nation apart.